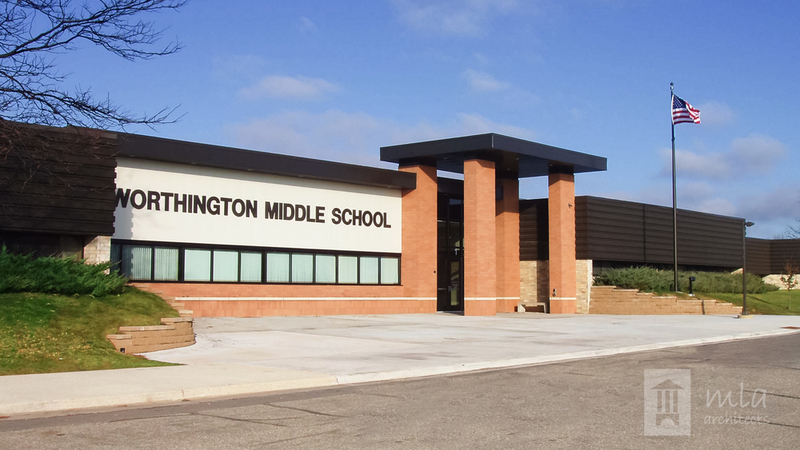 With enrollments increasing at the middle grade level, the Worthington School District decided to add additional classrooms. As part of the project, a new entry and administration area addition is planned, which addresses safety, supervision and control of students and visitors entering the school. The former administration area is remodeled into Special Education space. As part of the project, HVAC Upgrades were also addressed.